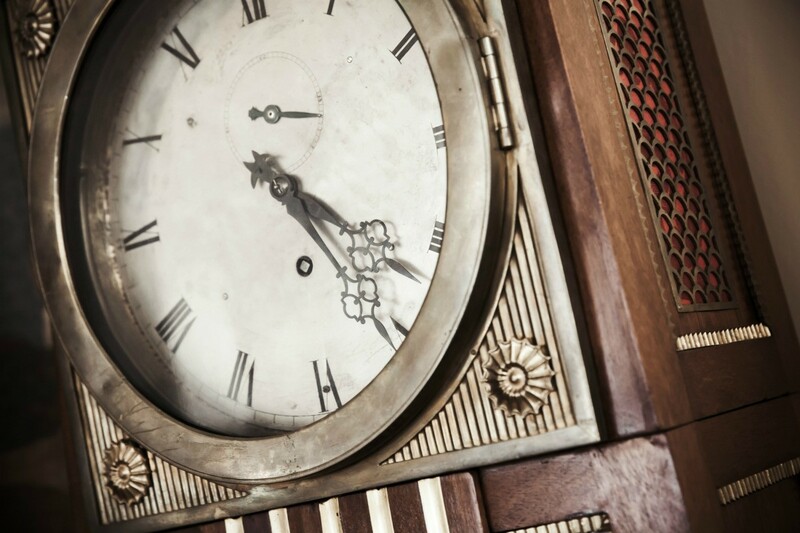 As with many vintage and antique pieces, the value of a grandfather clock depends on a number of factors, including age, rarity, appearance, mechanical soundness, etc. This guide offers some good advice on how to find the value of a grandfather clock, as well as, a detailed list of attributes and demand that will need to be considered in determining its value. I can't find anything on this clock; the face says Royalty. I am doing an estate sale so I am just trying to get a value. I want to say my mom said she paid a clock repair shop 800 to fix it one time. Your clock is gorgeous and immaculate! Valuing these neat pieces is a challenge for a number of reasons. First they need to work--everything from keeping time to the chimes. Then it needs to be determined the brand (I have not heard of Royalty as a brand, although I am not an expert in clocks). Are there markings on the workings? Then it needs to be a style that is highly sought after in your town, with a high demand and a low supply. 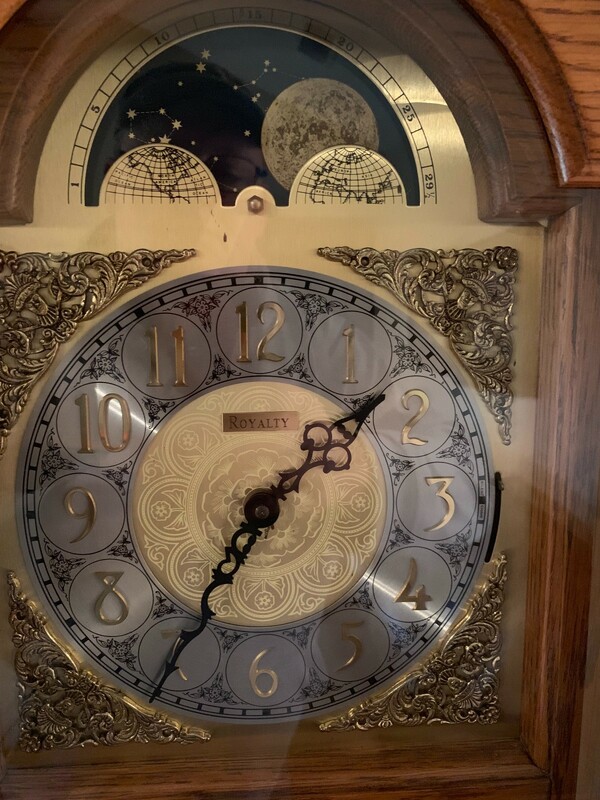 So where I am in PA the (bonnet style--which describes the top rounded piece)--is one of the the least sought after types of clock so it would get a lower value here, where people prefer the more decorative, Victorian tops or even more so, the flat craftsman style. Value is really a regional thing so where you are, you may see more value in a bonnet top. That it was repaired for $800 (to me) only speaks to the cost of the repair--fixing these clocks--whether they are delicate antiques or new pieces--is expensive. There are few clock makers/fixers around, so they can charge huge amounts because they are usually the only game in town. One of the other challenges in clocks is what is called "marriages" where someone takes old clock parts and puts them into a newer case trying to increase the value. An expert will have to determine that this did not happen with your piece--which could totally devalue it as it becomes a "fake". 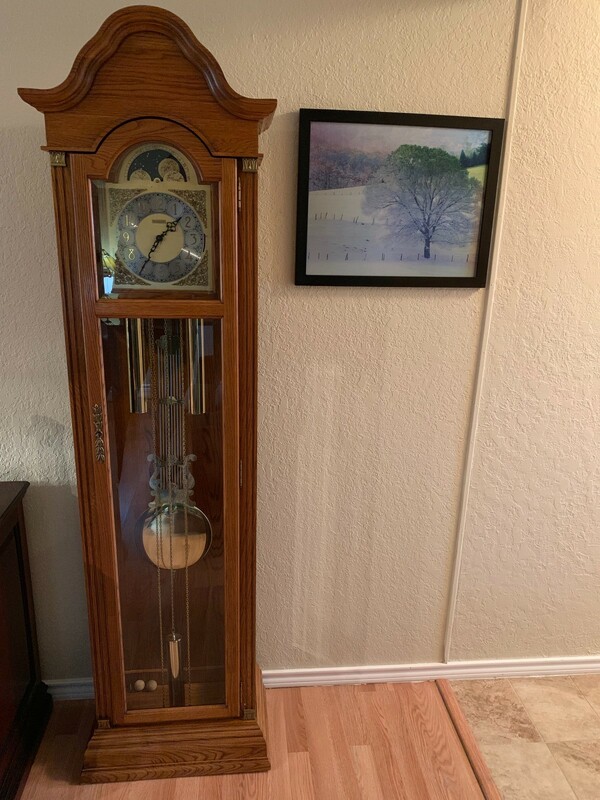 So all of that said, the best way to put a value on your clock is to have a local clock person (antique/vintage dealer) look at it and give you an idea of what they sell for in your area. If you are doing an estate sale (like a family run one) you most likely will not get the piece's true worth or value since people don't like paying big bucks for expensive items at estate sales. Most are looking for bargains to either decorate their home, or flip for a huge profit. If you learn that this piece is quite valuable (which I hope it is), you may want to pull it from the estate sale and have it sold in an auction or antique/vintage store to realize a higher profit. Post back what you decide!! It is a lovely piece--very well cared for which is half the battle!! On ebay they range from $800 to $5000, but I can't find the brand "Royalty." Take the picture to an antiques dealer and ask for a verbal appraisal. It should be free.